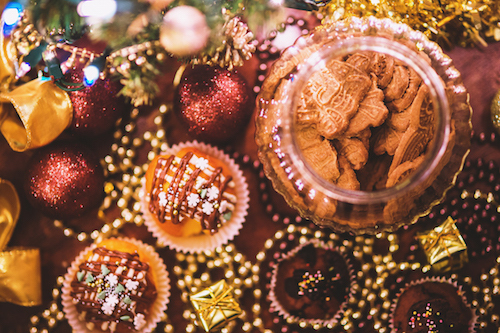 There aren’t too many things more magnificent during the holidays than Christmas candy. From those chocolate dipped pretzels and gooey caramel bites to macaroons, truffles, and even the no-bakes, my mom used to make them all. Some of my favorite childhood memories are the days when she finally decided that I was old enough to help. I would climb up on a stool so I could reach everything, and she didn’t even care when I scraped the leftover chocolate from the bowl. These days, I have to be careful how much of that mouthwatering goodness I consume, of course, but making Christmas candy remains one of my favorite winter activities. Unfortunately, I don’t have as much time on my hands as I would like during the busy holiday season, and so I don’t make as much of that yummy goodness as I used to. In fact, sometimes I have had to supplement my candy making with things like gourmet chocolates from my secret merchant- but don’t tell! A few years ago, my Christmas shopping budget was down to little more than lint in my pocket and cracker crumbs from the baby. With so many people on my holiday list, I had no idea how I would ever be able to buy gifts. While making my first batch of the year’s Christmas candy, I suddenly got a magnificent idea. I went online and purchased personalized coffee mugs for the grown-ups, and little plastic festive cups for the kids. Then I ran down to the local discount store and grabbed some cellophane, popsickle sticks, and tiny ribbon. The next couple of days I created batch after batch of every kind of Christmas candy I could manage, wrapped the pieces and decorated them with tiny bows, and voila! I filled the mugs and cups with my homemade creations, and before I knew it I had fabulous Christmas gifts for everyone on my list. My Christmas candy gifts have become a tradition in my family now. Sometimes, the entire family even kicks in to help me create unique, candy filled gift baskets made from fun coffee mugs, festive holiday vases, and even those cute little Christmas gift boxes. 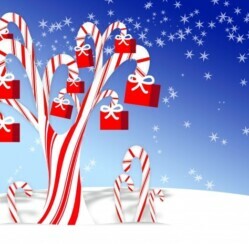 Have you ever given Christmas candy or cookies as a gift? What other ideas do you have for Christmas shopping on a budget?